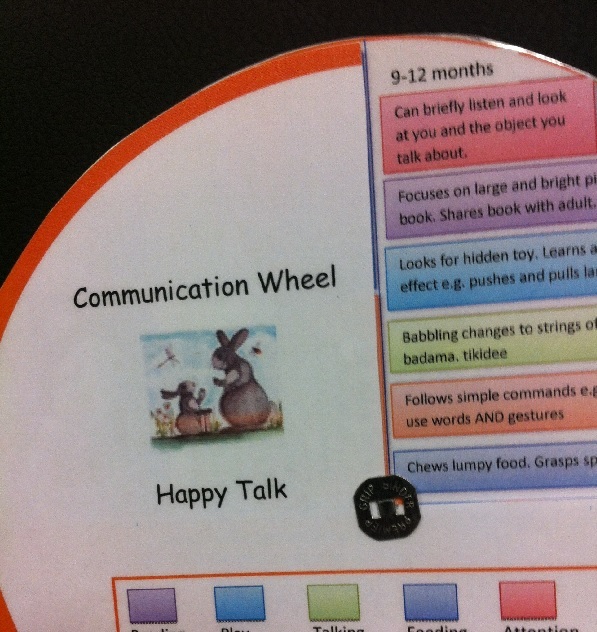 Children Aged 0-2 years » Comhar Chathair Chorcai Teo, Cork City Partnership Ltd.
During the session parents are given advice about how to support early language development and given resources including the communication wheel. The advice and information provided at these clinics has been welcomed by parents, and the feedback they have provided has been positive. Click here to read some of the parents’ comments on the baby clinics.